An expert in feng shui, Jenie Feng Shui, said this year contained a conflict between two elements: Water and earth, particularly the air besar (powerful water) and tanah kecil (weak earth). Problems in the environmental balance may arise, but it also gives wood and metal elements a chance to grow. “[The growth] can be in the form of creativity, art, publishing, e-commerce, automotive and information technology,” Jenie told the Post at her office in East Jakarta on Monday. Although considered to be better than last year, the Year of the Pig is still not the best year for rat people as they still have to struggle and become responsible for a number of issues. “But they are supported [by their surroundings] this year, compared to last year where they did everything alone,” said Jenie. Similar to rat, people who were born under the ox sign will face better situations in the Year of the Pig compared to the previous year. The combination of hard work, honesty and consistency should be part of their strategy to gain fortune. “There’s a chance for tiger people to develop, but they will accept less support,” said Jenie. Last year was better for the sign as they received help either from their family or colleagues, but the Year of the Pig will be different. Tiger people should be able to be independent and stay humble in order to manage their relationships with their friends. The rabbit is one of the signs in Chinese astrology that is granted with good fortune in the Year of the Pig. Rabbit people will have good communication and receive support from other signs. However, it is better for them to stay focused and manage their mood. Dragon people usually want everything to be fast, but they have to slow down this time. This year may be better than last year due to various opportunities, but they may come with problems. “They need to be able to anticipate [the situation] and make plans -- both have to be realistic as well,” said the author of Rahasia Parenting ala 12 Shio (Parenting Secrets based on the 12 Chinese Horoscope). The snake is among the three signs in the Chinese horoscope that will face a tough situation this year. They may experience miscommunication, therefore Jenie advised them not to be overly ambitious and fill their mind with negative thoughts. The Horse is known as a sign that has enough fighting spirit in the Chinese horoscope. “There’s a chance for horse people to be leaders where they can express themselves and they will receive more support compared to last year as well,” said Jenie. It is also best for horse people in the Year of the Pig to be consistent and manage their emotion. The Year of the Pig will be a fortunate year for the sheep sign as they will receive plenty of support and maintain smooth communication with people around them, meaning that other people will quickly understand what they want. A number of small fortunes can be found this year and sheep people have to be patient to get them. Aside from the snake, the monkey is another sign in Chinese astrology that will face heavy challenges this year. People who were born under the monkey sign are often recognized as being fast-paced and less focused. It may be slightly difficult for them to achieve what they have envisioned as not everyone will understand it hence they should go with the flow and not be too ambitious. Set to be the last sign that is less fortunate in the Year of the Pig, rooster people are perceived to be overly analytical and detail-oriented. They may find their luck, but they should leave the details and do their work one by one as they cannot do everything at once. The dog sign has a 50:50 chance of being luck as long as they are honest and not too lazy in facing the obstacles ahead. Challenges can be the gates to opportunities or a disadvantage. They need to finish their responsibilities with consistency and integrity. 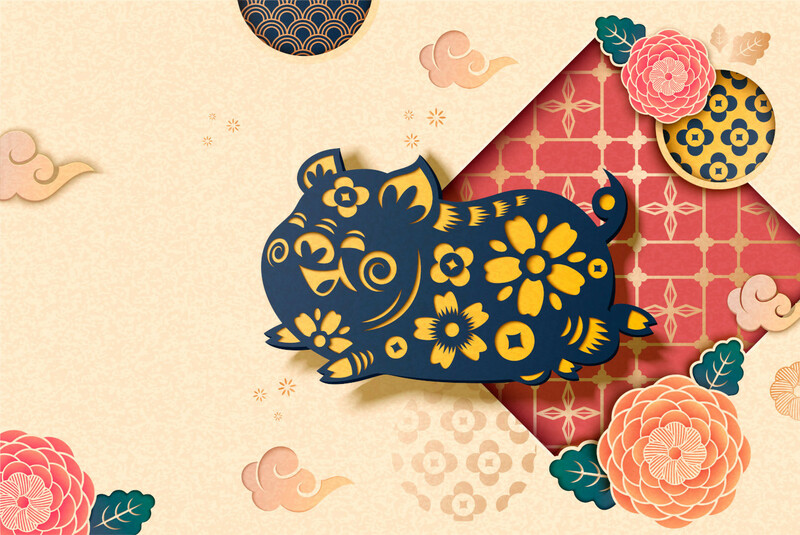 In the Year of the Pig, those who fall under the astrology sign should be able to create a strategy and have the willingness to move in order to find their luck. They should not begin a new project that is still unclear. It is okay for them to act neutral and genuine while listening to their relatives.